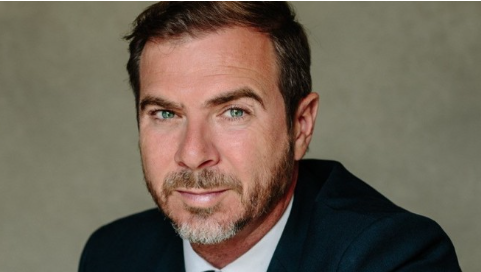 Ian McDonough: Look to the US for a glimpse of future trends of tech innovation in global sports and to see how cloud video is delivering scale and speed. As a lifelong fan of Liverpool Football Club, it’s hard not to feel a little white-knuckled. Despite recent stuttering results we still might see a long wait for the Premiership title on Merseyside finally coming to an end. It certainly feels like a rollercoaster season. I know the Club has come pretty close before to lifting that Premiership trophy, only to ‘slip up’ right at the last gasp. Manchester City is working hard on their plans to spoil the party, but whatever fate and football has in store, forgive a fan for holding tight to his tender hopes and dreams. It’s been almost thirty years since the team I’ve supported as both man and boy last won a league title. 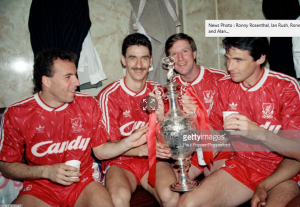 Back in 1990, my link with the club and the players relied primarily on having a ticket to watch the likes of players such as John Barnes and Ian Rush light up the pitch at Anfield. There was an occasional game on TV, the radio and the back pages of the newspapers but that was pretty much it. Today, what used to be a local passion has been transformed into a global phenomenon. Over the course of a generation, the power of live television has expanded Liverpool’s fanbase far beyond the Mersey into a mighty multitude. The globalisation of sport is a reality. Liverpool’s popularity around the world is also due in no small part to the insight and support of canny US owners, Fenway Sports Group, owners of the Boston Red Sox. Sport and technology have always been close bedfellows. But in my view, the Cloud Video revolution is set to redefine what it means to be a sports fan. The revenue forecasts give a hint of what’s to come. The global cloud video streaming market was valued at $5.2 billion in 2016. By 2023, its forecast to rise to an annual total of more than $16 billion. Innovation is taking place on pitches and platforms. Next season Amazon will be streaming 20 live Premiership football matches. UEFA has recently announced it’s set to team up with Alibaba in China. Sports streaming platform DAZN is reportedly planning to spend around $2.5bn on global media rights this year alone. In Europe, Artificial Intelligence is currently enriching coverage of the Six Nations Rugby Championship by providing field position and scrum analysis. But in my view, it’s speed, convenience and personalisation that will prove to be the critical deciding factors shaping the future of sports technology. Tastes and attention spans may have changed but the competition to hold people’s interest has never been greater. I believe sport’s inherent unpredictability remains the secret to understanding its enduring appeal. Audience insight has identified how much fans value getting the best bits to the most convenient device as quickly as possible. I’ve been particularly impressed by the way cloud video platforms have been adopted across a wide spectrum of US sports and eSports to develop new markets and new services. The success of last summer’s pro-celebrity Fortnite event in Los Angeles is just one example of how the creative possibilities of disruptive technology are being used to give fans the instant connection they crave and drive lucrative sponsorship deals. There’s no better illustration of what a cloud video editing platform can do than the way in which the technology is being applied on America’s East Coast at the world- famous Madison Square Garden indoor sports and entertainment arena in the heart of Manhattan. 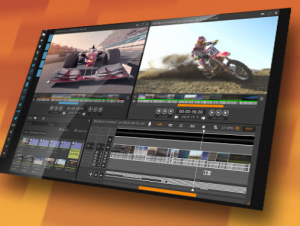 This broadcast to digital integration allows clips to be edited within seconds and packages to reach media platforms and mobile devices in just a few minutes. It’s a process that prior to the use of game-changing technology now available to sports rights holders took fifteen times as long to do. Lightning speed and wide platform distribution of sporting highlights now mark the critical distinction between commercial success or failure in the battle to hold the interest of content hungry, rapidly growing audiences across the world. Solutions to turnaround clips and highlights packages that were once the preserve of the professional, premium broadcaster are now available to everyone irrespective of budget or experience, all thanks to the speed and ease of use of cloud video platforms. What’s more, it’s simple. This all happens with access to login and a browser from any device, anywhere – even with very low bandwidth. Ingesting video at the event, having it stored and accessible in the cloud and enabling people the freedom to edit their video content from anywhere presents enormous time and cost savings as well as monetisation opportunities to sports federations, rights holders, leagues and teams. We are seeing sports from Australia and Asia who never thought they had the budgets to develop an international audience to increase their commercial appeal doing precisely that. 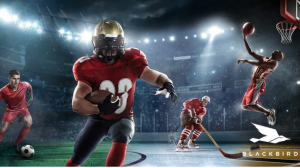 So many sports rights holders, especially in the US, have got the message that cloud video platforms increase fan engagement and the quality of coverage all at the same time. Their innovative daring is connecting with new global audiences to give fans greater access and customisation and sports rights holders more content protection. The technological transformation of global sports is all about grasping the opportunity of scale and speed to drive reach, revenue and reputation. The future’s set to be fast and exciting. But as far as the English Premiership title this season is concerned, I just hope it’s painted bright red.